Fine motor skills relate to the ability to coordinate the smaller muscles in your hand to complete an intricate task. Refined motor skills are used in activities such as doing up buttons, tying shoelaces, writing and typing. These skills are important to encourage early, so children don’t fall behind in their development. Poor fine motor skills can lead to a myriad of issues such as poor behavior through frustration, reduced academic performance due to not being able to write properly with a pen or pencil, low self-esteem and refusal to persist or even try new tasks that may be challenging. There is a general decline in these skills in children and the average age that a child now masters tying their shoelaces has increased over the past 35 years from age 4 to age 7. So, what can we do to help reverse this statistic? Just Google ‘improving fine motor skills’ and you’ll be given a whole range of beneficial activities such as using playdoh, practicing with scissors, finger painting, craft, gardening and outdoor play using sand and water. One of the most effective tools I believe is to involve music in your child’s life. Here are some ways that music and music lessons can improve fine motor skills in children. Songs with actions are a great way to encourage children to think about their movements. The key here is to provide developmentally appropriate songs that are in line with a child’s current motor skills. A great example of finger play is Chop ChopChippity Chop. This is a great way to introduce skills like co-ordination and rhythm, which help with fine motor skills. Start with clapping or tapping a foot to the beat, then move to act out the words and moving your body. 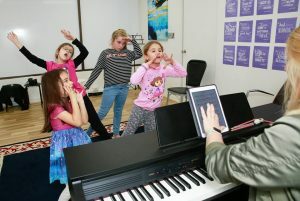 Dancing can be a fun way to let off steam at home but taking lessons can open up a world of other benefits such as socialization, listening skills, and teamwork. You don’t need maracas or drums to reap the benefits of using two hands to a beat. Find objects around the house like rulers, spoons, pots and plastic bowls to set up your own band! Make sure you encourage the use of both hands as ambidexterity is important for developing fine motor skills. 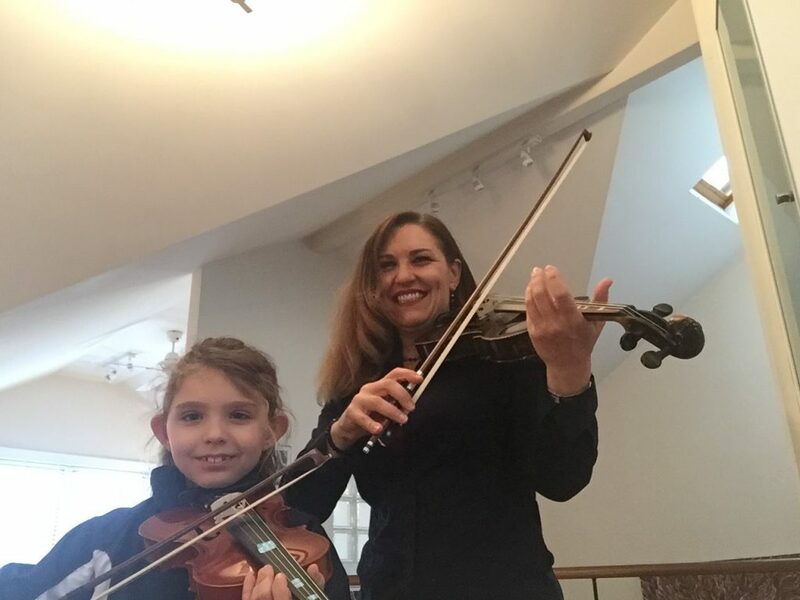 As a teacher, I have seen a decline over recent years in finger strength of my violin beginner students. Interestingly this improves rapidly within 3 months of lessons. It appears that the conscious repetition of finger positioning and practice significantly contributes to a child’s fine motor skills. The best time to start a child with violin lessons is around the age of 4 1/2. This seems to correlate with the ability of a child to concentrate and practice for short periods with their ability to listen and take instructions on board. 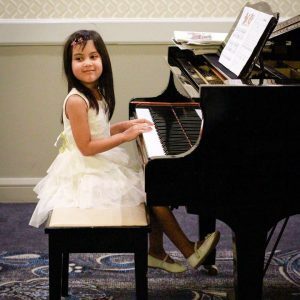 As a parent, I noticed my own child’s motor skills were lagging and decided to use piano lessons to make changes. I can now see the improvement in his ability to do other activities such as doing up buttons and using scissors. 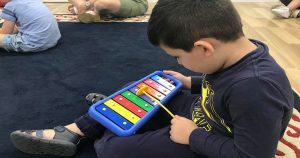 If you feel as though your child may be struggling with their fine motor skills, feel free to contact me and we can discuss the best way to introduce of music into your child’s life. 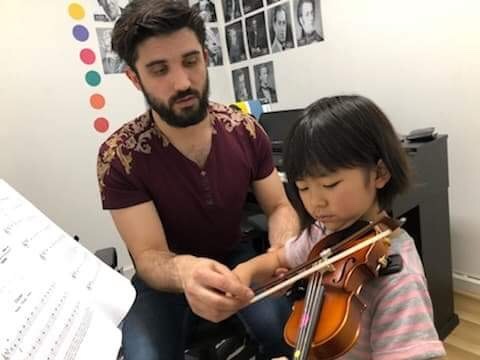 All of our music teachers at Inner West Institute of Music understand the importance of your child’s development.